Join us during any weekend in May to experience Pondview's "Asian Slaw Dogs" Sip and Sizzle Pairing. Over 20 wineries in Niagara-on-the-Lake each offer a unique grilled food and VQA wine pairing. Touring passes are $45 (taxes and fees not included) and they entitle you, the holder, to one VQA wine tasting and food pairing at each of our member wineries and is valid May 6-8, 13-15, 20-22, and 27-29 – 11am to 5pm. 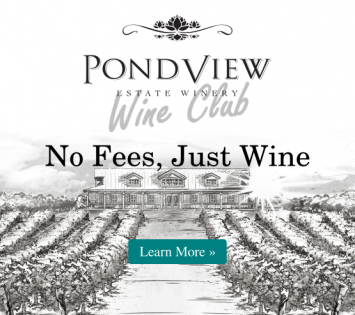 Pondview's pairing is our 2016 Cabernet Franc Rose, extra dry paired with “Asian Slaw Dogs” with tangy Asian slaw with hoisin, lime, cilantro and Pondview Double Gold Vidal Icewine, topped with Sriracha Mayo! Purchase your tickets here!! We look forward to seeing you there.